The first map was Inferno, which would satisfy both teams, but, nevertheless, it was the pick of the German team. In the first half HellRaisers started in attack and quite rapidly got a need minimum of five rounds. Only after that the players of PENTA came on board. By the side switching HR had taken one more round and started the defense side with a reserve of six points. In the second half a mirror situation occured — the German team took six rounds, while HellRaisers took nine points away from the rival. Everything was to be decided in the additional rounds, where on the second try our team proved their advantage. On Overpass our five started on the defense side. The first 15 rounds the players and fans of PENTA felt first-hand the meaning of the words massacre and desperation. 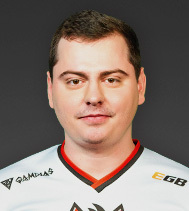 The defense of HellRaisers was just undestroyable — for the entire first half PENTA took only one round and, let's face it, had no chances for a comeback. When the players of PENTA finally got some hope, HellRaisers braced up and finished off the rival. A confident victory for HellRaisers! Now our team is preparing for ESL Pro League Season 4 — Europe.